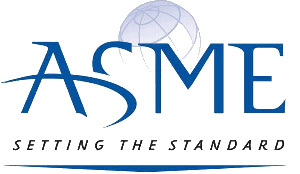 ASME is the American Society of Mechanical Engineers. The purpose of ASME is to provide a network within a community of Engineers and to help excel each engineer to his furthest potential. ASME is not limited to Mechanical Engineering students only, and does not limit its topics to only that of mechanical engineering subjects either. As a member of ASME, meetings, tours, and contests may be focused on a wide variety of topics such as Biomedical, Aerospace, Structural, Automotive or Automation. The goal of the ASME at Florida Tech Student Chapter is to promote involvement in ASME as a member to help students excel. The chapter participates in a number of activities throughout the year, including various fun and educational tours, conducting workshops and taking part in community outreach events. Members also attend the ASME national Student Professional Development Conference (SPDC) in which they can interact with industry professionals and fellow students from different colleges around the country. This year, members are encouraged to take part in many competitions which are usually held at the SPDC. This includes the various old guard competitions and the Student Design Competition (SDC). For the SDC this year, participants have to build their own remote controlled Unmanned Aerial Vehicle. To fund all these activities, ASME at Florida Tech is highly dependent on both the financial and moral support of our benefactors. Every gift makes a difference. For more information on Florida Tech ASME officer, please visit fitasme.org.